DPT: Rocky Mountain University of Health Professions, Provo, UT. BS: Athletic training, Weber State University, Ogden, UT. Member: American Physical Therapy Association, Utah Physical Therapy Association. 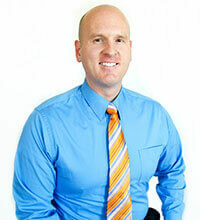 Jason has a background in a wide variety of physical therapy treatments in both inpatient and outpatient environments. He has special interests in orthopedic and sports-related injuries, strength training, and general health and wellness. He utilizes evidence-based research in providing treatments and participates in frequent continuing education courses to provide the most updated treatments and information to his patients. Jason grew up in Kaysville, UT and currently resides in South Jordan, UT with his wife and young daughter. He is an avid weight lifter and enjoys participating in all outdoor activities including camping, hiking, fishing, wakeboarding, and basketball. Jason and his family love to travel and to experience new countries and cultures.